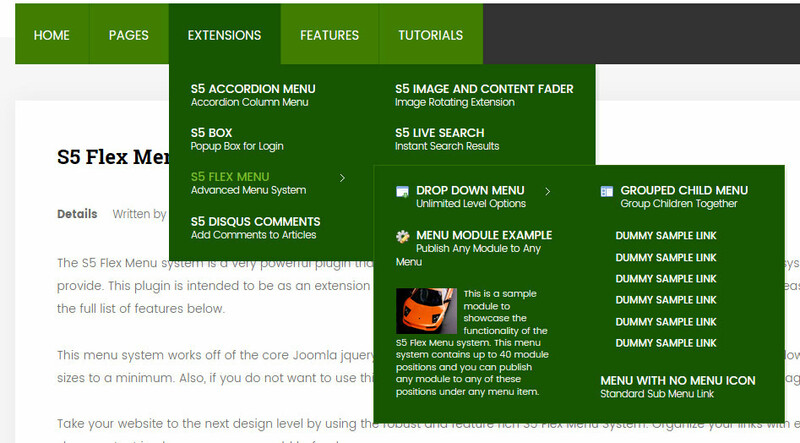 The S5 Flex Menu system is a very powerful theme addition that provides functionality far beyond what the standard WordPress menu system can provide. This tool is intended to be as an extension of the existing menu system in WordPress to add many new features! Please see the full list of features below. Multiple columns for menu items or widgets. Widgets load directly into the menu.